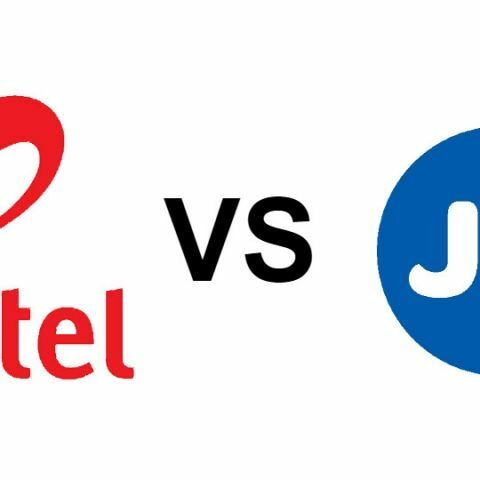 With multiple prepaid offers launching this festive season, here's a comparison guide to help you keep track of all the latest recharge plans from Airtel and Reliance Jio. The range of plans compared is from Rs 149 to Rs 999, with a minimum validity of 28 days. Telecom giants Reliance Jio and Airtel have been actively engaged in a battle for offering the most lucrative tariff plans in hopes of attracting new and engaging existing subscribers. Thanks to the increasing popularity of dual-SIM smartphones, Indian consumers find themselves increasingly spoilt for choice when it comes to tariff plans from Reliance Jio or the incumbent operator Bharti Airtel. Airtel, especially, has been introducing attractive new prepaid plans lately, the newest one being its Rs 799 festive prepaid plan offering 3GB 3G/4G data daily along with unlimited local and STD calls for a period of 28 days. So for the sake of clarity, we decided to compare all the best prepaid data and calling plans from Airtel and Reliance Jio as available today. Airtel Rs 199 Plan: Airtel recently introduced the Rs 199 plan, which as we checked, is not available for all prepaid numbers. The offer is region based, but it’s easy to check eligibility for your number on the Airtel prepaid online recharge portal. The Rs 199 plan from Airtel offers unlimited local & STD calls along with 1GB 4G/3G/2G data for 28 days. Reliance Jio Rs 149 Plan: Reliance Jio just increased the data usage limit on its Rs 149 prepaid plan, which now allows for unlimited data usage. However, there is a caveat. The Jio Rs 149 plan will get you 2GB data at 4G speeds after which the speeds will decline to a sad 64Kbps. The validity of this plan is 28 days and it also offers unlimited calling. Airtel Rs 349 Plan: Weirdly, Airtel’s website also lists a recharge plan for Rs 349 which offers 28GB Data (1GB/Day) and unlimited local+STD calls for 28 days. However, there is no mention of free SMSs with this one. Reliance Jio Rs 349 Plan: At Rs 349, Reliance Jio offers its prepaid users 20GB of 4G data with no daily FUP for 56 days. After exhausting the 20GB data, speeds will decline to 128 Kbps. Again, the plan offers unlimited calling and free SMSs (maximum of 100). Reliance Jio Rs 309 Plan: Reliance Jio also offers another competing plan which is actually better than its own as well as Airtel’s Rs 349 plan. The Rs 309 Jio plan will give you 56GB of 4G data for 56 days, with a limit of 1GB data per day and unlimited calls. Airtel Rs 549 Plan: At Rs 549, Airtel offers a total of 56GB data with a limit of 2GB 3G/4G data per day, along with unlimited local and STD calls for a period of 28 days. Reliance Jio Rs 509 Plan: At Rs 49 lesser than Airtel, Jio’s Rs 509 prepaid plan is valid for 56 days and offers a total of 112GB 4G data with a limit of 2GB per day, along with unlimited calls. After the 112GB data is exhausted, speeds will decline to 128 Kbps. Airtel Rs 799 Plan: As we told you earlier in this article, the Rs 799 plan is a new festive offer from Airtel. With this recharge, Airtel prepaid customers can enjoy unlimited local & STD calls and 3GB 3G/4G data per day with a validity of 28 days. This takes the total data offering of the plan to 84GB. Reliance Jio, on the other hand, does not have any competing plan which offers 3GB 4G data per day. Airtel Rs 999 Plan: The Airtel Rs 999 plan surfaced just a few days back. It offers 4GB per day for 28 days, taking the total data offering to 112GB. The plan also includes unlimited local and STD calls. Reliance Jio Rs 999 Plan: Reliance Jio’s Rs 999 plan offers lesser data than Airtel, but is valid for a longer period of time. The Jio Rs 999 plan offers 90GB of 4G data for 90 days. There is no daily 4G FUP in this plan, but speeds will downgrade to 128 Kbps after the consumption of 90GB data. So those were all the best data heavy prepaid plans with unlimited calling and a minimum validity of 28 days from both Airtel and Reliance Jio. We hope this makes your life simpler than reading numerous different reports for different plans.